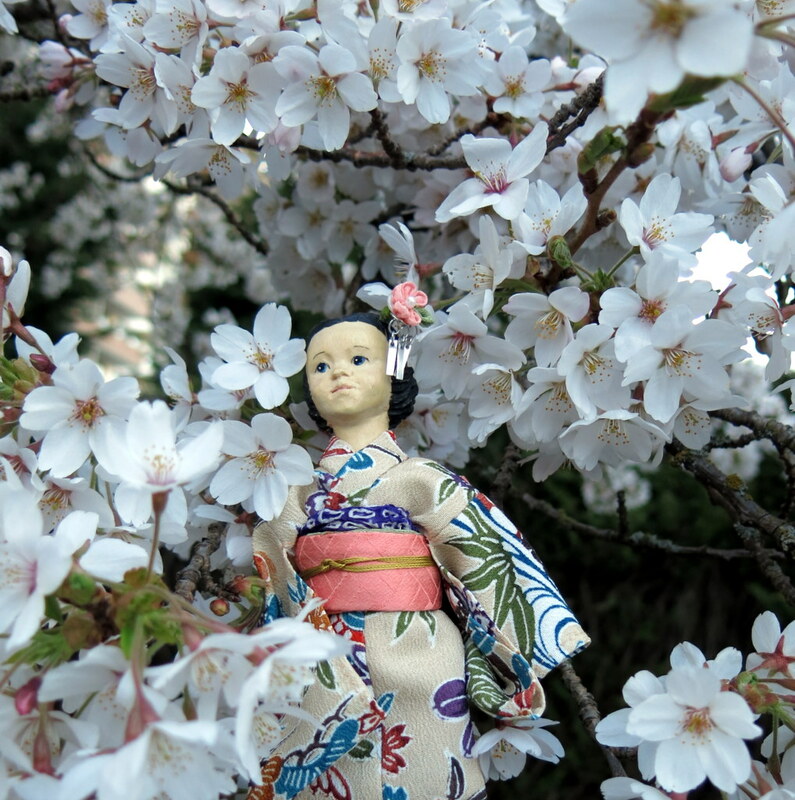 …down the cherry blossom lane. 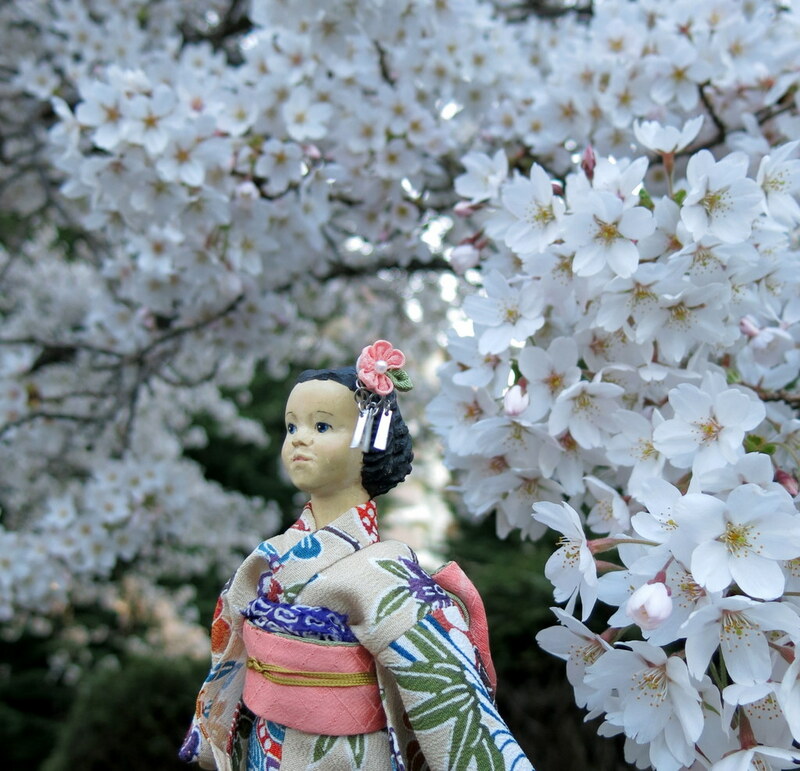 Patience looks so beautiful in her kimono surrounded by those gorgeous cherry blossoms. 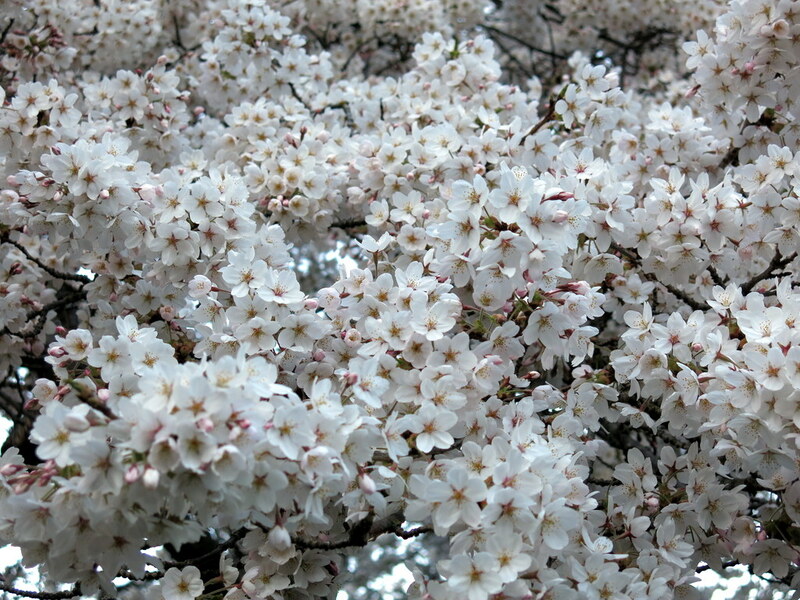 Our cherry blossoms are a full month away from blooming. 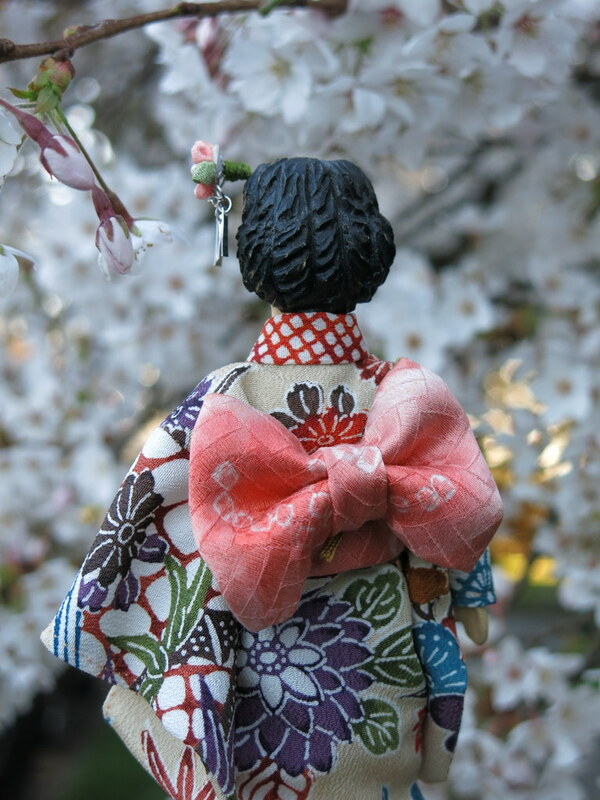 Patience thinks Sakura is the perfect time to wear her new Kimono – now she is going off to see about the tea before she puts on her western clothes again. 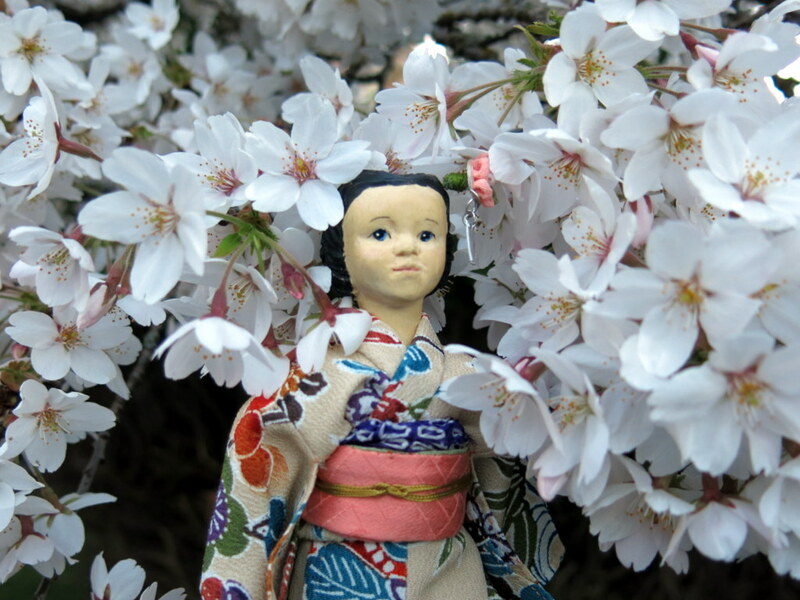 Patience is lovely as is her gorgeous kimono. Your photos and poetry are good for my heart. I can almost smell those blossoms. That one street in Victoria is a very special place at this time of year…we always try to visit at least once! Thank you very much – we love the idea of a holiday to celebrate loveliness in nature!